The Japan Atomic Energy Relations Organization (JAERO) has released the results of a public opinion survey on nuclear energy that was carried out last October. The survey has been conducted annually since FY06. This time, 1,200 men and women aged 15 to 79 responded nationwide. 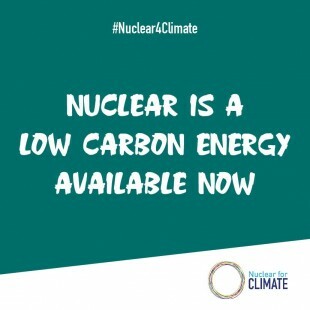 Regarding the image of nuclear energy—which was somewhat negative even prior to the 2011 accident at the Fukushima Daiichi Nuclear Power Plants—the most commonly cited adjectives in the latest survey were “dangerous” (69.0%), “unsettling” (56.0%), and “complicated” (33.3%). In comparison with the previous survey, however, those choosing “not reliable” fell from 30.2% to 21.8%, and those responding “bad” from 19.1% to 12.3%, while those answering “necessary” increased from 17.9% to 24.3%. Based on that, it seems that the image of nuclear energy has shifted somewhat in the positive direction. Meanwhile, when asked what they thought the energy sources of the future would be, the percentage of respondents answering “nuclear power” increased by 5.5 points. Additionally, when asked what methods of power generation they preferred for Japan, the respondents most frequently mentioned solar (77.1%), wind (64.8%) and hydro (56.0%). 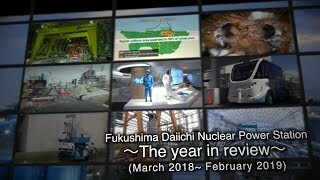 Those power sources retained their top positions, a result unchanged since before the 2011 Fukushima Daiichi accident. Even so, those selecting nuclear power increased from 5.5 points from the year before, rising from 11.8% to 17.3%, representing the highest level since the accident. Asked about the future use of nuclear power, the respondents were given five choices: (1) increase it, (2) maintain the pre-earthquake level, (3) continue it, but gradually reduce it to zero, (4) stop it immediately, and (5) don’t know. The largest group chose the fourth option (“continue it, but gradually reduce it to zero”), at almost half of the respondents—48.4%—a level maintained since FY14. An even 20% of all respondents chose the fifth option (“don’t know”), with 30% of all female respondents giving that answer. Based on that result, JAERO said that efforts were needed to increase opportunities for women to receive more information on nuclear power. Survey respondents were also asked about the restarting of NPPs. The ratio of those selecting “restarting NPPs is necessary, considering a stable supply of electricity” increased to 26.7%, up 8.1 points from the previous survey’s 18.6%. Meanwhile, the percentage of those choosing “restarting NPPs is not necessary, as electricity supplies are now sufficient” fell 6.0 points, from 24.7% to 18.7%. Therefore, the support for restarting NPPs has gone up, while the opposition has gone down. Moreover, given that (a) there is no clear outlook for radioactive waste disposal and (b) the Fukushima Daiichi NPPs are being decommissioned, the high ratios against restarting or those citing “don’t know” were probably due to those reasons. Generally, however, the positive answers climbed somewhat. Regarding the apparently improved image of nuclear power—the positive shift noted above—JAERO said that a major power failure had occurred on the island of Hokkaido one month before the survey, caused by the Hokkaido Eastern Iburi Earthquake of September 16, 2018, and that people’s awareness of supply-stability issues was probably heightened at that time. It warned, however, that the improvement in image could thus be only temporary, and that related developments should be carefully watched.